The ED Ellen DeGeneres line has been created in partnership with the Camuto Group and the former Oscars host and daytime TV chat queen is aiming for comfort before high-fashion. 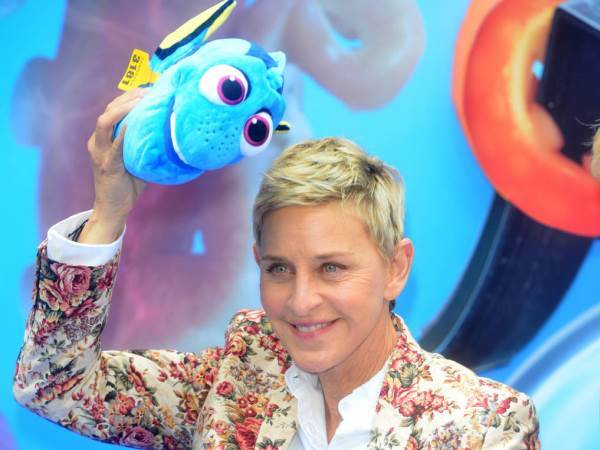 Finding Dory star Ellen DeGeneres is launching her first ever shoe collection. The collection for women features trainers, sandals, and slip-ons. The comedienne made an announcement about her new venture via a hilarious statement, in which she wrote: "A lot of people say they'd love to spend an hour in my shoes. Now all you have to do is buy a pair, watch three straight hours of cat videos online and you’ll know exactly what it feels like." Rachel Ungaro, vice president of merchandising for home shopping TV channel QVC, where the line will launch on Thursday, adds, "The ED Ellen DeGeneres footwear collection features a mix of casual, fun and athletic styles that reflect Ellen’s own spirited personality." It's not Ellen's first foray into fashion - she introduced ED by Ellen in 2015. The line included many stylish basics and earned rave reviews. She also launched a lifestyle and home decor line in 2014. The new venture comes as the TV star and her wife, Australian actress Portia De Rossi, offload their 17-acre ocean-view Santa Barbara, California estate, which was put on the market this week for a hefty $45 million (about R564million). While there's no word on whether the couple will be buying another home in Los Angeles, Ellen's work slate is busier than ever - she and her colleagues at production company A Very Good Production Inc. currently have 11 movies and TV shows in development.